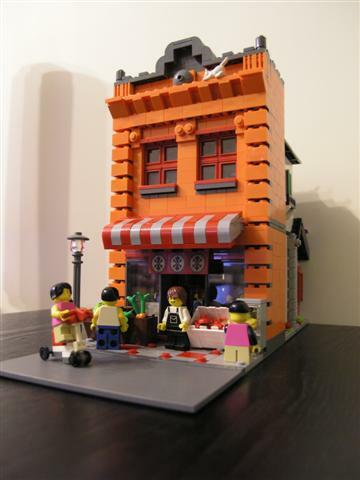 Brick Town Talk: I Live Where I Work - LEGO Town, Architecture, Building Tips, Inspiration Ideas, and more! The compactness to this model is just too awesome to pass up. The drastic color change from one building to the next and the solid construction technique adds a punch to this creation. Very cool!